When a loved one has dementia, they may not act like themselves. The disease may cause strange behaviors that seem out of character. Here is a common list of dementia behaviors along with some caregiver tips to handle each new behavior. 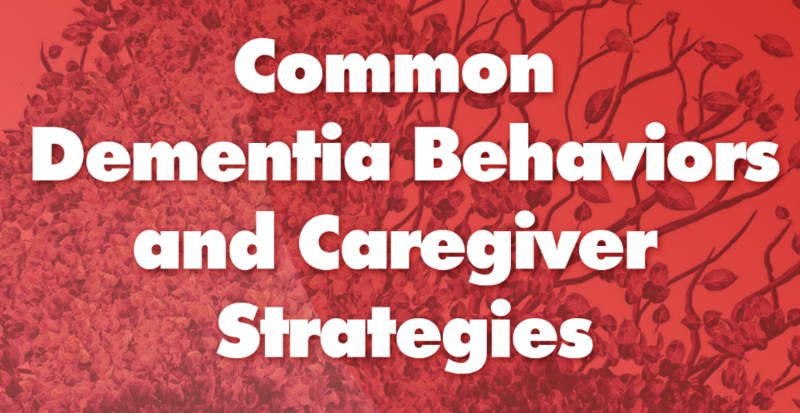 Read the text alternative of Common Dementia Behaviors and Caregiver Strategies. 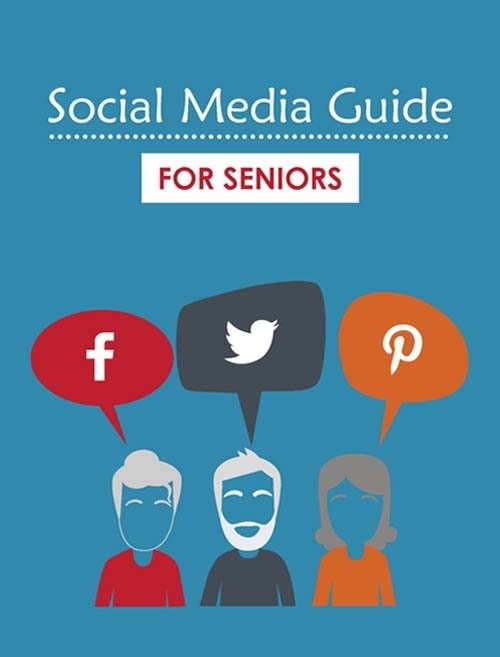 Seniors with dementia exhibit behaviors that may seem confusing or inexplicable. However, these behaviors are often overlooked as symptoms of dementia because they vary from person to person. Wandering can be one of the most frightening and dangerous dementia symptoms. Individuals with dementia can become confused and easily get lost when they wander outside of the home, even when they have spent many years in the same home. If your loved one is no longer safe to be out alone, the first thing to do is to "escape proof" the home. Locks, windows, and door monitors, security cameras and even baby monitors can help you feel more secure about the safety of your loved one at night. People with dementia may also experience changes in their sleep schedule or have difficulty with sleeping as a symptom of the disease. Sleep changes seem to result from the disease's impact on the brain, but the specific causes are unknown. Maintain a regular schedule of awake and sleep times. Take your loved one outdoors on a regular basis and try to add a walk into that time. Eliminate alcohol and drinks with caffeine. Make their bedroom restful and noise-free. Identify any potential sources of pain or medications that cause wakefulness. Eating either too much or too little can be a major problem for seniors with dementia. There are many negative consequences of poor nutrition, including weight loss, irritability, sleeplessness, bladder or bowel problems, and disorientation. Develop a sense of humor and some flexibility regarding meals. Take a break and eat your lunch with your loved one. Have healthier snacks available and visible. Serve food that is familiar and easy to eat. People with dementia can sometimes have difficulty remembering to maintain good hygiene, such as brushing their teeth, toileting, bathing, and changing their clothes. As the caregiver, you should investigate some of the reasons they are resistant and see if you can help. Does the person feel unsafe? Are they able to see and comprehend the actual depth of the water? Have they been shown the safeguards and grab bars? Is the water too hot or too cold? Seniors with dementia often develop incontinence, or the loss of bladder or bowel control, in the later stages of dementia. Remain calm and reassure them when they do have accidents. Provide clothing that is easy to remove. Make the bathroom easy to find and use. Ensure that they can safely get to the toilet, especially at night. Reduce fluids right before bed. Establish a consistent bathroom schedule. Constant repetition of words (perseveration) or other redundant behaviors can be irritating for both the caregiver and person with dementia. Reassure them, provide comfort, and be patient. Try not to remind them or yell at them that they just asked the same question. Try diverting their attention with a snack or new activity. Don't discuss plans with them until right before the event to avoid further confusion. Try using reminders around the house, such as notes that say the time of dinner or other events they might wonder about. Pay attention and recognize common repetitive behaviors; they could be trying to communicate an important need. These behaviors may be especially common in frontotemporal dementia. It is important to recognize that a person with dementia may not be aware of their inappropriate behavior and to apologize on their behalf to anyone who may have taken offense. A side effect of memory decline or cognitive impairment can often lead to older adults mistaking people for others, acting out of character, or believing they are someone else completely. Sexual inappropriateness can be a side effect of these delusions, and it is necessary to recognize that their behavior is not voluntary but rather due to a lack of inhibition from their dementia.